Sinclair Broadcast Group’s headquarters in Hunt Valley, Md. There’s a lot of focus these days on the cable news giants. Just check the president’s Twitter feed. But if CNN and Fox News are important players, they don’t get as many eyeballs as local television newscasts. Anyone who cares about the state of our democracy, then, should care about what’s happening with local television. And that makes right-leaning Sinclair Broadcast Group’s bid to acquire Tribune Media’s 42 television stations a matter of urgent concern. 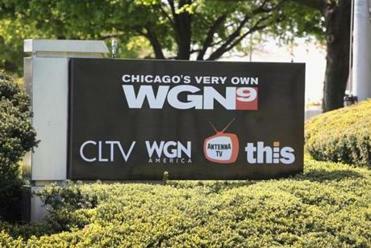 Sinclair is already the largest owner of local television stations in the United States, and its proposed $3.9 billion purchase of Tribune would turn it into a behemoth, with access to more than 70 percent of American households. An expansion of that size isn’t in the public interest, and federal regulators should move to block it. If they fail to act, state attorneys general should step up and attempt to stop the merger. 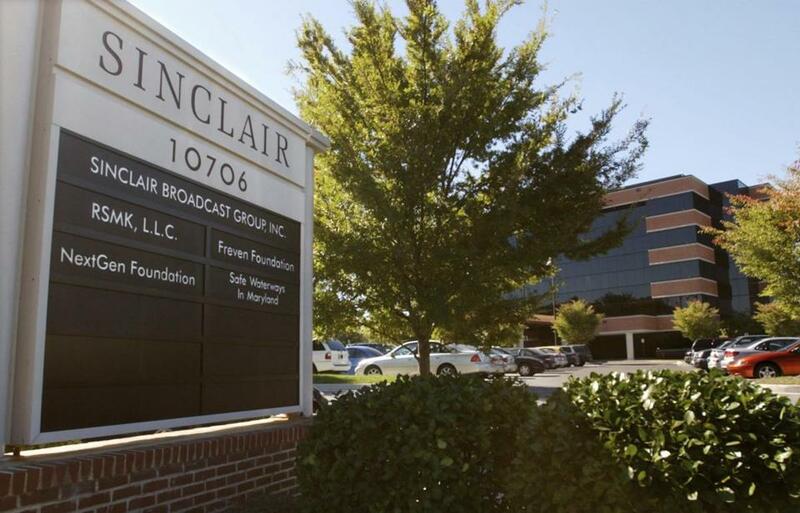 Sinclair, which already has stations in Rhode Island and Maine and is looking to expand into Connecticut, has a history of slashing staff and requiring its stations to share content — reducing local news coverage in the process. Sinclair Broadcast Group, already the nation’s largest local TV station operator, wants to be even bigger. The network also requires its stations to air centrally produced, conservative-leaning segments. There are daily missives, for instance, from the “Terrorism Alert Desk” — including one piece on the French controversy over “burkinis,” apparently deemed a terrorism-related story simply because it involved Muslims. One election package suggested voters shouldn’t back Hillary Clinton, in part, because of the Democratic Party’s proslavery history. And Sinclair hired former Trump surrogate Boris Epshteyn as its chief political analyst. There are, of course, plenty of competing, left-leaning views in our increasingly crowded mediascape. But local news is a special case. Local broadcasters have something of a captive audience, and federal regulators should be diligent about ensuring a diversity of views. Sinclair’s expansion also raises classic anticompetitive concerns. A larger company will be able to demand bigger fees from cable providers retransmitting their broadcasts — costs that will eventually be passed on to consumers. There are other ways to prevent large cable companies from throwing their weight around. Unfortunately, the Trump administration’s Federal Communications Commission doesn’t seem interested in implementing them. Indeed, Trump’s FCC and Department of Justice don’t seem interested in much regulation at all. And if they don’t do the right thing and block the Sinclair acquisition of Tribune, we’ll need action from the people who are rapidly becoming some of the most important political actors in the country: blue-state attorneys general.